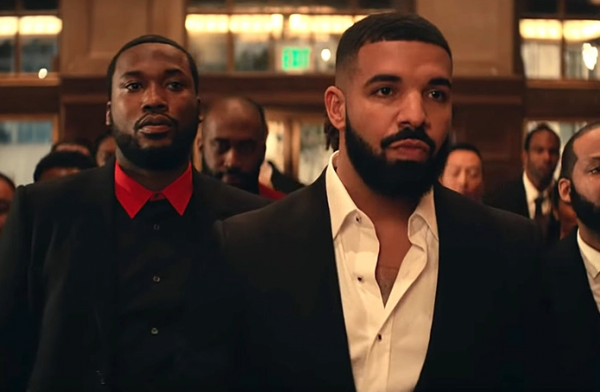 Meek Mill and Drake have finally shared the highly anticipated video for ‘Going Bad’. The song comes from Meek’s CHAMPIONSHIPS. Directed by Kid Art, this look like a mob film, with a ton of rappers making cameos. The likes of T.I., Nipsey Hussle, Swizz Beatz, PnB Rock, Shy Glizzy, DJ Mustard, YK Osiris, among others can be seen in the music video. This video comes just after Meek released the dates to his Motivation Tour. Drake and Meek ended their beef last summer during the Aubrey & the Three Migos Tour stop in Boston. Meek performed ‘Dreams and Nightmares’, while Drake hyped him up.